In Defense of Joseph: Are the original statements that Joseph was a polygamist true? Are the original statements that Joseph was a polygamist true? Not long ago I searched online and found Historical Record 6, edited and published by Andrew Jenson. 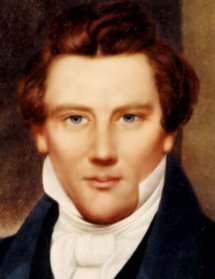 I read for the first time the original statements made by some of the alleged plural wives of Joseph Smith, Jr. and others having "knowledge" of these events. The interesting thing about these statements is that they make up the core of evidence used by the Utah LDS Church and most historians to "prove" that Joseph taught and practiced polygamy. Without these statements, they have no substantial argument. Thus, in this post I wish to discuss a little of the background of these statements and make some observations regarding them. When I first read all the polygamy statements from Historical Record 6, I was amazed how clear, articulate, and detailed they were, considering they were made anywhere from 25 to 40 years after the reported events (the last statements were made in the mid-1880s). I found it amazing because I can barely remember the events of last week let alone 25 to 40 years ago—even those events that were life changing. When I compare the allegations of Emily D. Partridge, Lucy Walker, and Joseph C. Kingsbury published in Historical Record 6 with their testimonies in the Temple Lot Suit, their allegations broke down under cross examination. While in the polygamy statements their recollections of events 25 to 40 years earlier were clear, articulate, and detailed, their statements under cross examination in the Temple Lot Suit a few years later were vague, rambling, and contradictory. Their testimonies in the Temple Lot Suit clearly don't support their previous statements published in Historical Record 6. How can this be? My answer is that the original statements were false and as such didn't hold up under cross examination in a court of law. William Clayton didn't testify in the Temple Lot Suit. However, in his statement published in Historical Record 6 he said, "The copy [of the celestial marriage revelation] made by Joseph C. Kingsbury is a true and correct copy of the original in every respect." Since Kingsbury's testimony in the Temple Lot Suit under cross examination clearly showed that his original allegations were false, William Clayton's above allegation has to be false, making his entire statement published in Historical Record 6 also false. Eliza Roxy Snow also didn't testify in the Temple Lot Suit. In her statement in Historical Record 6 she said, " It is a fact that Sister Emma, of her own free will and choice, gave her husband four wives, two of whom are now living [Eliza being one] and ... she taught them the doctrine of plural marriage and urged them to accept it." Historical Record 6 also shows Eliza Snow and Joseph Smith were married 6/28/1842. However, as an officer of the Ladies Relief Society in Nauvoo, Eliza signed the following statement which was printed October 1, 1842 in the Times and Seasons (an LDS Church paper printed in Nauvoo): "We the undersigned members of the ladies' relief society, and married females do certify and declare that we know of no system of marriage being practiced in the church of Jesus Christ of Latter Day Saints save the one contained in the Book of Doctrine and Covenants.... Emma Smith, President. Eliza R. Snow, Secretary" (Times and Seasons 3 [October 1, 1842]: 940). In the same October 1, 1842 Times and Seasons, p. 939, Joseph stated, "Inasmuch as this church of Christ has been reproached with the crime of fornication, and polygamy: we declare that we believe, that one man should have one wife; and one woman, but one husband, except in case of death, when either is at liberty to marry again.... We have given the above rule of marriage as the only one practiced in this church." Obviously, since Eliza didn't know of any other system of marriage other than "one man should have one wife" three months after her purported plural marriage to Joseph, her 1879 statement in Historical Record 6 was not true. Her statement in 1842 is considered more reliable, because of its closeness to the event, than the one made by her 37 years later. In addition, in 1879 she was living in a plural marriage with Brigham Young and as such could have been influenced to support his position that Joseph started polygamy in the church. For more information on the contradictory statements of Eliza Snow, read Joseph Smith Fought Polygamy, Chapter 10. In Historical Record 6 an affidavit signed by Eliza M. Partridge stated "on the 11th day of May, 1843, at the City of Nauvoo, County of Hancock, State of Illinois, she was married or sealed to Joseph Smith, President of the Church of Jesus Christ of Latter-day Saints, by James Adams, a High Priest in said Church, ... in the presence of Emma (Hale) Smith and Emily D. Partridge." She gives no other particulars of the marriage. Eliza M. Partridge didn't testify in the Temple Lot Suit. So for her statement to be considered true, it must be validated by other credible means. Her statement is corroborated by the statements of Emily Dow Partridge, Lovina Walker, and William Clayton in the same section of Historical Record 6. However, I don't believe Emily Dow Partridge and William Clayton to be credible witnesses for the reasons given above. In Historical Record 6 Lovina Walker testified that in 1846 Emma Smith told her that she witnessed Joseph's marriage to Eliza and gave her consent to it. However, throughout Emma's life, she gave consistent testimony to various people at different times until her dying day that she was Joseph's only wife. Because Lovina Walker's one time testimony conflicts with Emma's life long testimony who was in a position to know the truth, I can't give credibility to Lovina's testimony. As a result, I don't believe Eliza's three corroborating witnesses to be credible and their statements shouldn't be used to corroborate Eliza's statement. Thus, I believe Eliza's statement that she was a plural wife of Joseph must be discarded because it lacks credible corroboration. To me it is obvious that the statements of the key witnesses published in Historical Record 6 are not true. And if the statements of the key witnesses are not true, then the statements of the other witnesses published in Historical Record 6 can't be used to corroborate their testimony, making this entire body of evidence inadequate in proving Joseph taught and practiced polygamy. Thus, in my opinion the position of the Utah LDS Church and historians that Joseph taught and practiced polygamy, based on this body of evidence, is false. James Brian Marshall here from Book of Mormon Fact or Fiction. You sent me a comment complementing my deffense of Joseph Smith. Thank You for your comments. It's much apprecated. I love to write, but must improve my skills at editing. Please forgive the typos. It's a work in progress and in time this will be a Book of MOrmon / Joseph Smith super blog. If you would like to give your blog extreme, undeniable credibility, with protestants and LDS members, check out the Church in Court. RLDS of course. While they may still disbelieve, The Church in Court might give them pause to think. The RLDS won court cases in Cananda and the United States in which multiple judges having investigated the evidense, gave these verdicts. 1.The RLDS is the true and origanal LDS church. 2.Brigham Young through breaking church law, disorganized the church through which he usurped power. 3.Joseph Smith never taught Polygamy in the origanal LDS Church. 4.That the Salt Lake LDS church taught doctrines false to the pre 1844 Joseph Smith led church. When the Law of the Land defend Joseph Smith innocent, it even makes me feel better as a Book of Mormon believer. Thanks agains for your comments. Thanks for your comments. I agree that the Church in Court is an important document. It's interesting that you brought this up. Just last night I posted a blog on the importance of the Temple Lot Suit. Check it out. Take care and keep up the good work. Keep in touch.